Showcased at Magical Mirai 2018, the really awesome-looking Hatsune Miku edition RGB gaming keyboard and mouse by Thermaltake are now available for order! Part of Thermaltake’s Tt eSPORTS series of gaming products, the keyboard and mouse feature true gamer-class components, such as a 5000 dpi sensor, 20 million click rated switches, dust-proof designs, and fully adjustable 16.8 million color illumination. Both feature illustration art by Apapico. Please note shipping outside Japan requires friends or a proxy. 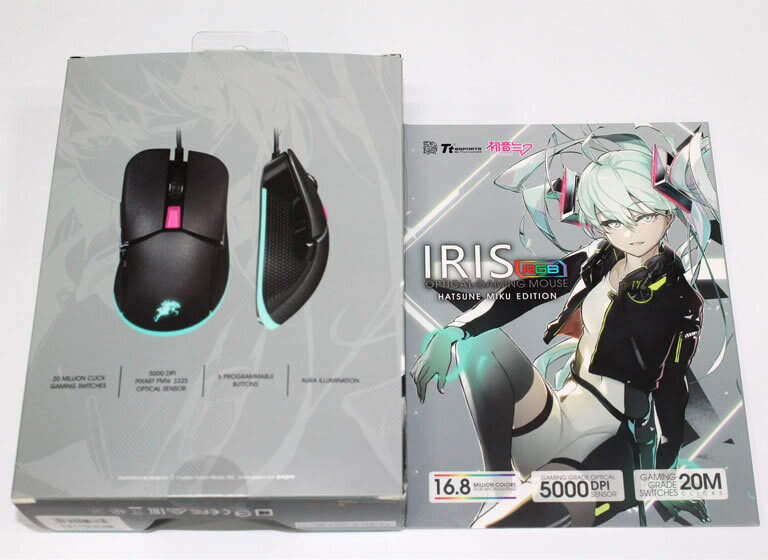 The Hatsune Miku edition IRIS RGB gaming mouse is priced at a very respectable 6,458 JPY ($58 USD), and weighs in at 123 grams with a 1.8M cord length. It’s compatible with Windows 7 and newer operating systems (MacOS not supported). Free shipping within Japan. 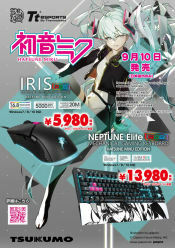 The Hatsune Miku edition Neptune Elite RGB mechanical keyboard comes in at a heftier 15,098 JPY ($136 USD), and features an aluminum body with dust-proof switches. It comes with a wrist-rest pad with lineart by Apapico, and swappable hot pink WASD keys. An additional bonus are swappable turquoise-colored 3 and 9 keys for the number pad. 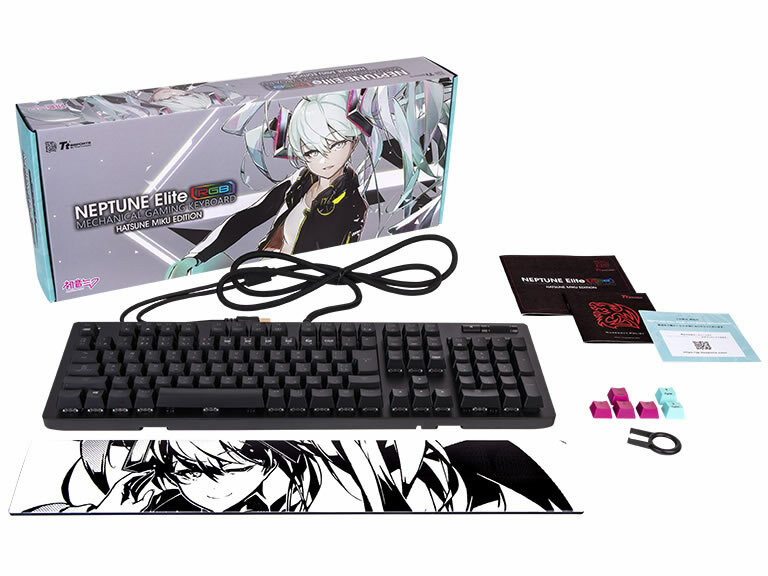 It’s the perfect gaming keyboard for any Miku lover’s collection. Works with Windows 7 and newer operating systems (MacOS not supported). Free shipping within Japan. 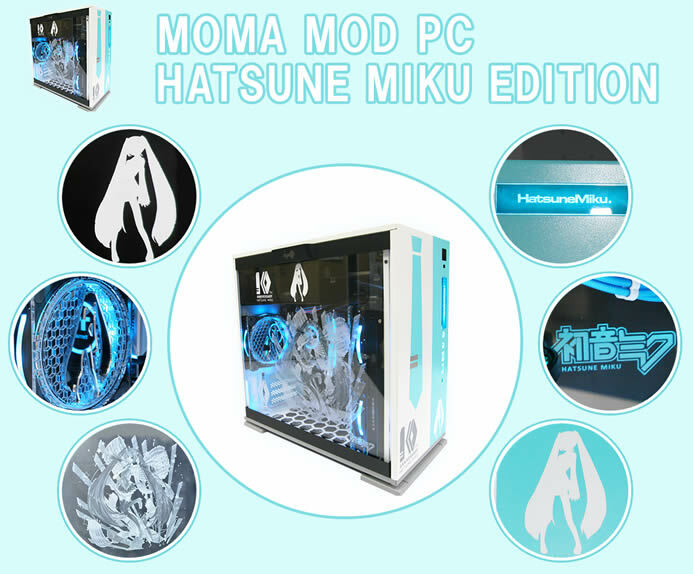 Below are some of my photos of the mouse, keyboard and PC on display at Magical Mirai 2018 in Tokyo! 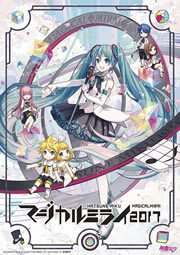 A newly announced Hatsune Miku cafe “Hatsune Miku MUSIC CAFÉ” has just opened in Akihabara, where one of the main services here is an all-you-can-request music service supported by KarenT, Crypton Future Media’s own record label. 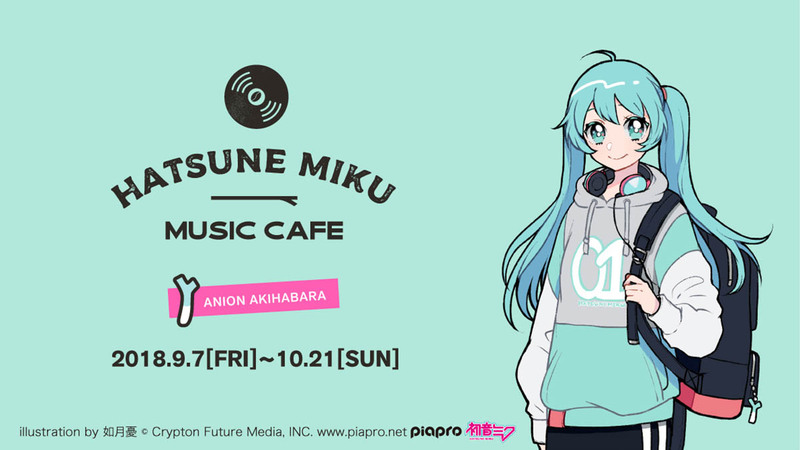 Located at onion AniON STATION in Akihabara, the Hatsune Miku MUSIC CAFÉ will be up and running until October 21st. Original collaboration menus, beverages, and goods featuring the key visual by the artist Kisaragi Yuu are also available under a small entrance fee of 500 yen per person. Nearby the entrance of the cafe is a life-size Hatsune Miku statue from Hatsune Miku: Magical Mirai in 2014~2016. Additionally, the cafe also has its very own theme song titled SENSITIVE SUMMER by the group “ZLMS” (now available on iTunes). Below are some tweets from fans on the cafe as well as its recently held opening DJ event.